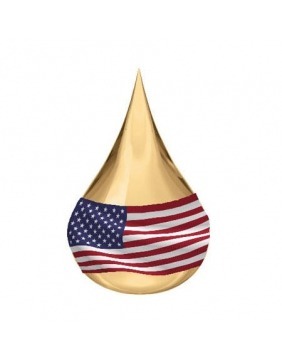 Explore the exciting array of honey varietals from USA! There are more than 300 distinct types of honey available in the United States, each originating from a different floral source. Only a small number of US honey types are familiar to the people here. Our series of honey is a spring-off from US Really Raw Honey which we have been carrying since we started selling honey online, and is specially handpicked and imported from the USA for those who enjoy honey not just for its health benefits but also for the satisfaction of the palate. If you love to explore the differences in the aroma and taste of honey and have been looking for a more varied range of floral varietals, here you have it. Premium, Exotic, Unpasteurized USA Honey. 100% Pure. No Additives or Flavor Enhancers. ☛ More details on the various floral varietals of honey from the USA, such as Buckwheat, Orange Blossoms, Aster, Clover in: https://www.benefits-of-honey.com/honey-varieties.html. Description: Really Raw Honey (brand name) is an Aster floral varietal that has made a name by its remarkable lovely floral scent, a reason why so many of its fans in Singapore are hooked to it and still continue to purchase and consume it over and over again despite its relatively big price tag. And the most unique point about this raw honey - each jar is capped with a layer of crunchy bits of honeycomb, bee pollen and propolis. Other Remarks: Color of this honey varies from batch to batch (i.e. some being much darker than others). Some batches may come with a layer of liquid honey on top. Creamed raw honey naturally converts into its original liquid form over time in Singapore's room temperature. This is a natural process of raw, unpasteurised honey and does not affect honey quality in any way and poses no concern for consumers. 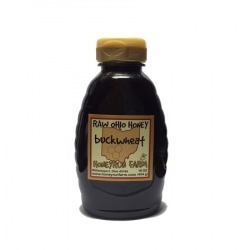 Description: An exquisitely dark, rich, heavy-bodied, molasses-like varietal of honey - raw, totally unprocessed buckwheat honey by US Ohio's Honeyrun Farm. This special varietal of honey has been repeatedly researched and reported to be more effective than over-the-counter cough syrup, dextromethorphan (DM). Gathered from the nectar of the uncommonly limited buckwheat grain blossoms, Buckwheat honey is rich in iron and contains high levels of antioxidants. Highly recommended for relieving coughs and treating anemia. Also, not every buckwheat honey tastes good, but this particular one is aromatic and delicious! Also, dispensing honey has never become so easy and drip-free with its highy appreciated smart squeeze bottle design. Description: An incredibly lovely honey. Extolled as "the Queen of Honey" and described as "beautiful", "romantic" and "rapturous" by honey connoisseurs, Tupelo honey is produced from the White Ogeechee Tupelo blossom nectar. A premium, light golden honey varietal in the USA, this honey is sweet, fruity and distinctively flavorsome. You'll need to taste it to know the difference! 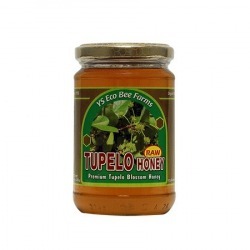 Tupelo honey is rare and one of the most expensive varietals in America because its trees only grow in certain areas. This raw honey has a low glycemic index and is tolerated well by diabetics or those who are monitoring their blood sugar level. Known for its mellow flavor and clarity, Tupelo honey is popularly used as a fruit or vegetable salad dressing, drizzle for toasts and pancakes and sweetener for tea and plain Greek yoghurt. And even when mixed with just water, it is absolutely delightful! Details in Tupelo Honey - Queen of Honey. Description: This is not honey infused with some orange juice or flavouring. Sunshine-soaked and one of the loveliest monofloral types, this honey comes from the nectar of the orange tree flowers and is one of the top most popular varietals in the U.S as it has a refreshing hint of orange scent that instantly appeals to adults and kids alike. Absolutely no artificial orange flavour or essence added! 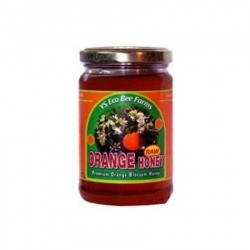 A choice honey for sweetening fruit punches and pairing with salads, cakes and tarts. Few monofloral honey types taste like the fruit of the same flower source, but Orange Blossom lives up to its name. A delicious and distinctive varietal that you have to try it yourself! Kids' Favourite! 100% Pure Clover Honey. No Citric Acid, Coloring or Flavorings Added. 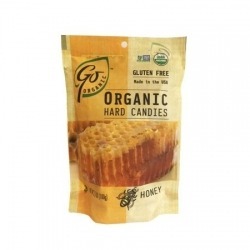 Description: 2 packs (2x5 counts) of straws filled with 100% pure organic clover honey, one of the most popular varietals of honey around and a varietal seen as being typical honey flavour and colour thus widely embraced by the Americans. 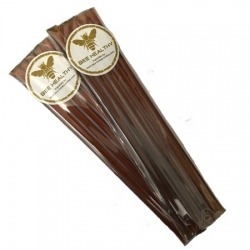 Unlike most honey straws you find in the stores, these do not contain any citric acid or added flavorings and coloring (watch out for these when you see honey straws that come in flavors such as soup grape, lemon, apple, cherry, etc.). Our straws are filled with only one ingredient - 100% pure clover honey and no other ingredients are added or hidden. Awesome! Perfect sweet treat for any kid (and actually adult too!) and for those who want a healthier sweetener for their tea and coffee when they are on the go. Each of the 10 counts brings you sunshine in a 17cm-long straw! Also check out Pure Organic Clover Honey Straws 50 Counts, 100 counts, and a case of Pure Organic Clover Honey Straws (500 Counts). Note: Clover honey crystallises easily over time. When you bite into some course sugary-like grains in the straw, please do not think sugar has been added to the honey. Those grainy substances are naturally crystallised honey. Most commercial honey has been pasteurised/heated (and live enzymes destroyed) to prevent crystallisation of honey. 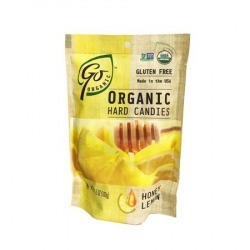 Description: 50 counts of straws filled with 100% pure organic clover honey, one of the most popular varietals of honey around and a varietal seen as being typical honey flavour and colour thus widely embraced by the Americans. Unlike most honey straws you find in the stores, these do not contain any citric acid or added flavorings and coloring (watch out for these when you see honey straws that come in flavors such as sour grape, lemon, apple, cherry, etc.). Our straws are filled with only one ingredient - 100% pure clover honey and no other ingredients are added or hidden. Awesome! Perfect sweet treat for any kid (and actually adult too!) and for those who want a healthier sweetener for their tea and coffee when they are on the go. Each of the 50 counts brings you sunshine in a 17cm-long straw! Also check out Pure Organic Clover Honey Straws 10 Counts, 100 Counts, and a case of Pure Organic Clover Honey Straws (500 Counts). 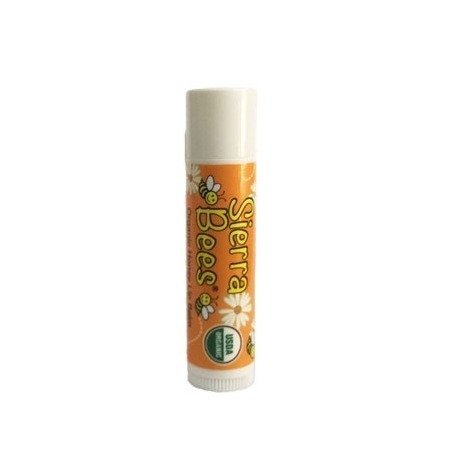 Description: 100 counts of straws filled with 100% pure organic clover honey, one of the most popular varietals of honey around and a varietal seen as being typical honey flavour and colour thus widely embraced by the Americans. 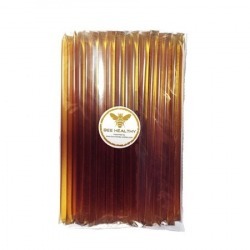 Unlike most honey straws you find in the stores, these do not contain any citric acid or added flavorings and coloring (watch out for these when you see honey straws that come in flavors such as sour grape, lemon, apple, cherry, etc.). Our straws are filled with only one ingredient - 100% pure clover honey and no other ingredients are added or hidden. Awesome! Perfect sweet treat for any kid (and actually adult too!) and for those who want a healthier sweetener for their tea and coffee when they are on the go. Each of the 100 counts brings you sunshine in a 17cm-long straw! Also check out Pure Organic Clover Honey Straws 10 Counts, 50 Counts, and a case of Pure Organic Clover Honey Straws (500 Counts). 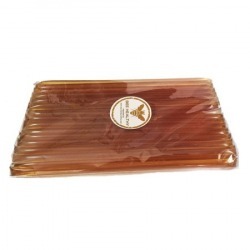 Description: A case of 500 counts of straws filled with 100% pure organic clover honey, one of the most popular varietals of honey around and a varietal seen as being typical honey flavour and colour thus widely embraced by the Americans. Unlike most honey straws you find in the stores, these do not contain any citric acid or added flavorings and coloring (watch out for these when you see honey straws that come in flavors such as sour grape, lemon, apple, cherry, etc.). Our straws are filled with only one ingredient - 100% pure honeyand no other ingredients are added or hidden. Awesome! Perfect sweet treat for any kid (and actually adult too!) and for those who want a healthier sweetener for their tea and coffee when they are on the go. Additional discount of 5% applies upon checking out for orders above $300. Each of the 500 counts brings you sunshine in a 17cm-long straw! 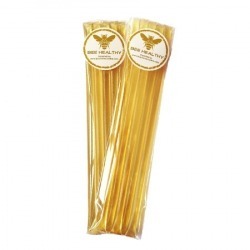 Also check out Pure Organic Clover Honey Straws 10 Counts, 50 Counts, and 100 Counts. 100 counts of straws filled with 100% pure raw, unprocessed Star Thistle, a floral varietal much relished by honey connoisseurs across the USA (Direct Import from USA in loose units). 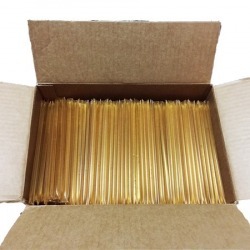 Unlike most honey straws you find in the stores, these do not contain any citric acid or added flavorings and coloring (watch out for these when you see honey straws that come in flavors such as soup grape, lemon, apple, cherry, etc.). Our straws are filled with only one ingredient - 100% pure raw honey and no other ingredients are added or hidden. Awesome! Perfect sweet treat for any kid (and actually adult too!) and for those who want a healthier sweetener for their tea and coffee when they are on the go. ☛This is a delicious, great-tasting honey gathered from the nectar of star thistle in northern Michigan. Each of the 100 counts brings you sunshine in a 17cm-long straw!